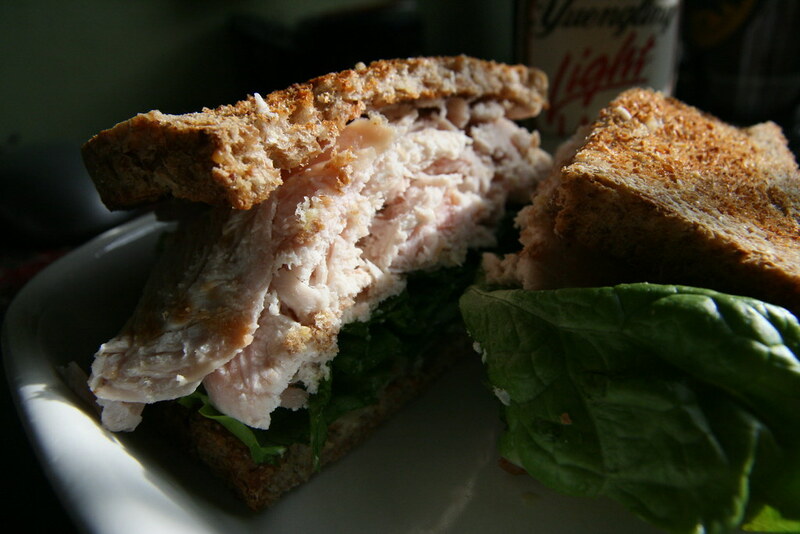 This may be a dumb post for anyone who’s ever cooked before, but it’s amazing how simple, cheap, healthy, and tasty homemade lunchmeat is! M got a turkey breast at the co-op on Tuesday, which I roasted today with a bouquet of thyme and a slab of butter. After two hours baking and an hour resting, I sliced half of it for sandwiches (pictured here). It’s an easy week’s-worth of sandwich fixings for about 1/3 of the cost of those watery, nitrate-packed deli counter meats.